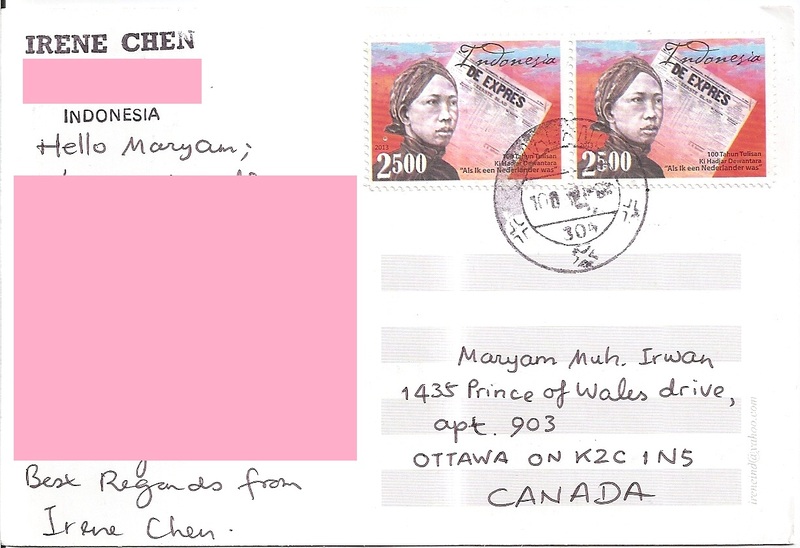 A postcard from Indonesia, sent by Irene Chen. 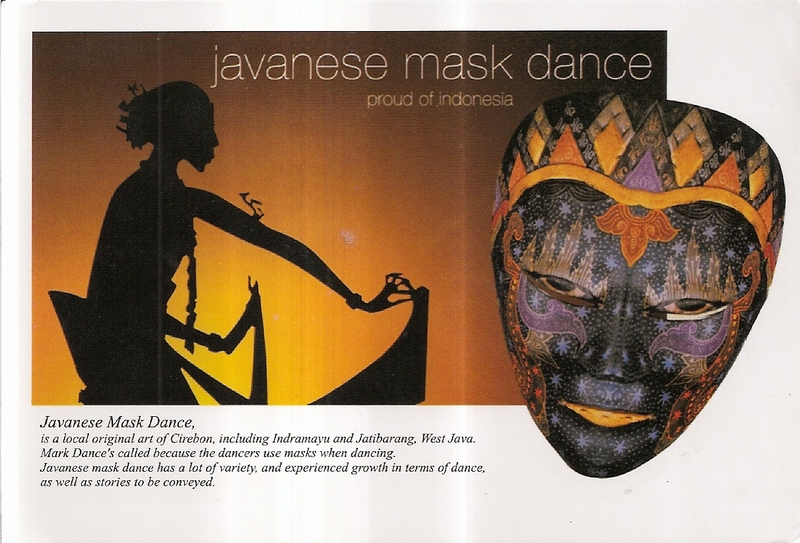 The postcard shows the Javanese mask dance. At the back, Irene affixed two stamps that commemorate the 100th anniversary of “Als ik een Nederlander was” column writings by Ki Hadjar Dewantara. The postmark date is not clear. Thanks a lot Irene!